Large Russian investment companies have been actively buying regional airports, hoping that the future of Russian air travel lies in an increase in connecting flights. 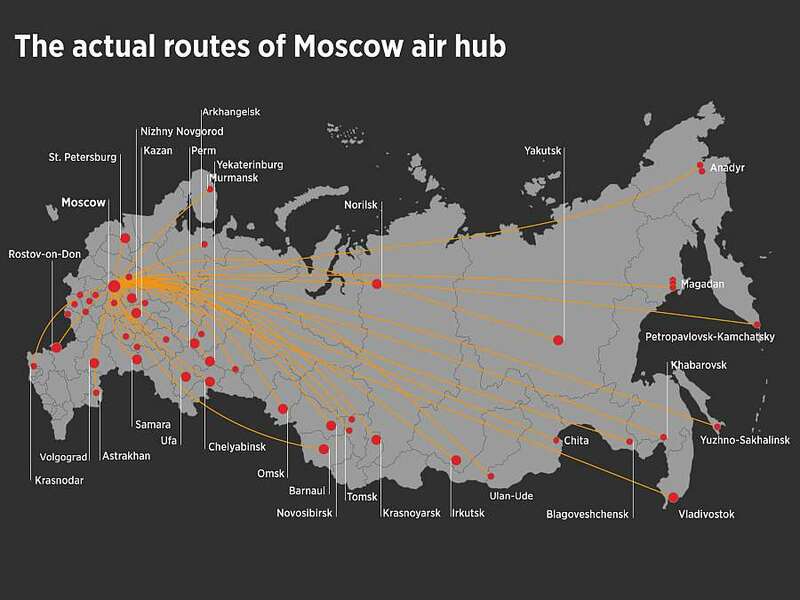 Today the transport infrastructure that connects Russia’s regions is tied to the Moscow Air Cluster (MAC), which is inefficient not only for the consumer, but indirectly to the economy as a whole. Upgrading the key regional airports in the future will make it possible to use state grants to encourage airline carriers to increase the number of connecting flights to neighboring cities and to develop transport connection between regional centers, bypassing Moscow.